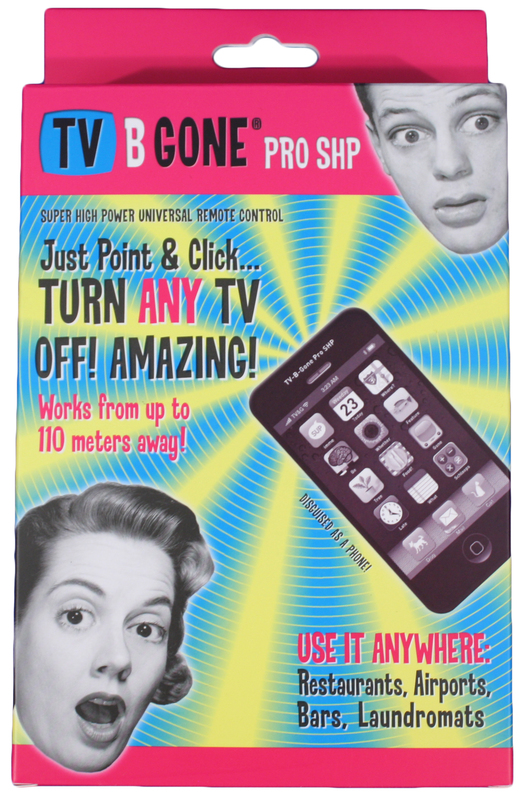 TV-B-Gone® Pro SHP (Super High Power) universal remote control looks like a phone, but actually is a powerful remote control designed to turn TVs OFF. 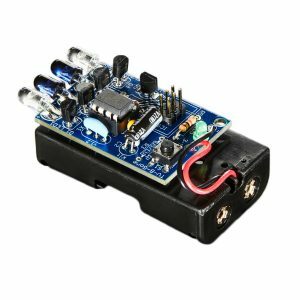 TV-B-Gone PRO SHP works the same way the TV-B-Gone keychain, but is more powerful because of extra IR emitters and the use of a bigger battery. 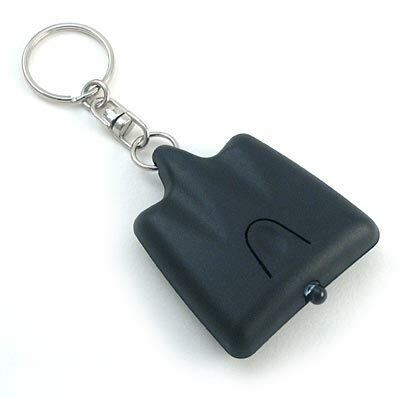 Instead of the batman-like keychain, it comes in a lightweight case that looks like a smart phone. It is easy to trigger whenever you desire with the switch on its front. A dim visible light lets you know when the TV-B-Gone Pro SHP is transmitting (Stealth-Mode is available with double-click activation). 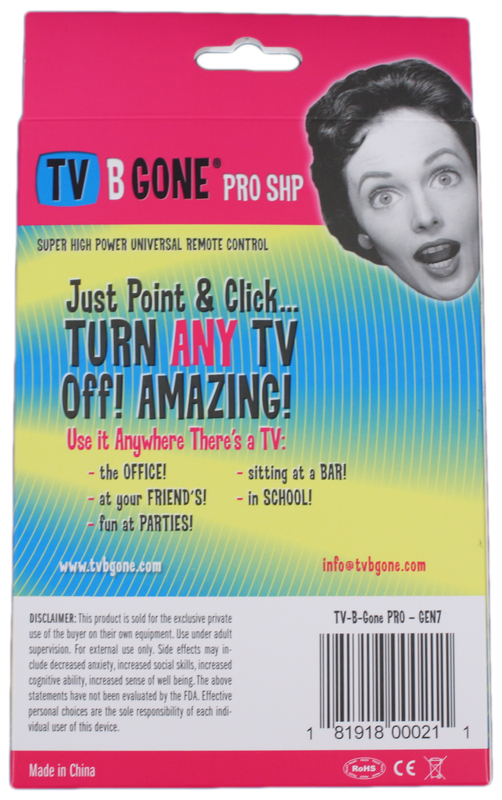 Like the TV-B-Gone keychain, TV-B-Gone Pro SHP has Instant Reactivation Feature (see below) so that you can turn off many TVs in quick succession. Small, Light-weight, TV remote looks like a smart phone. Super High Power — turn off TVs up to 100 meters away! 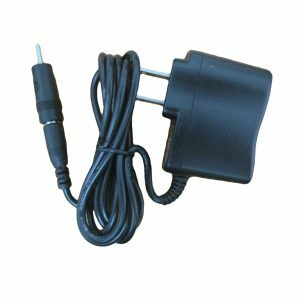 Includes the latest TV-B-Gone POWER codes for North America and Europe, covering well over 90% of all TVs in the world! 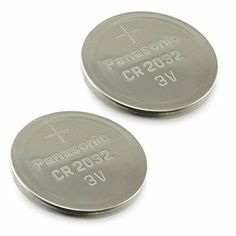 As easy to use as the TV-B-Gone keychain! 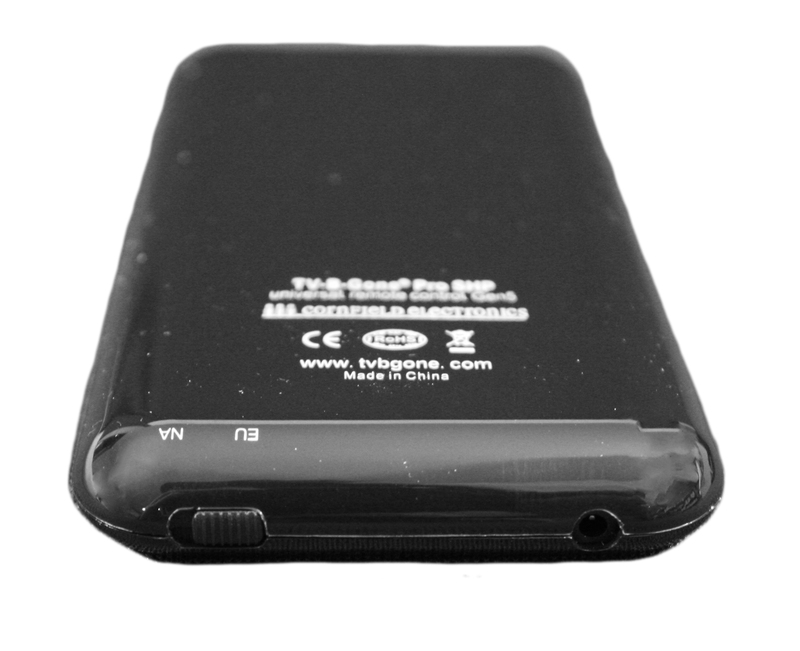 Built in, powerful rechargeable battery. This new feature allows you to press the button any time to RESTART transmission of all of its infrared codes. Since the codes for the most popular TVs are closest to the beginning of the sequence, you can shut off more TVs faster, without waiting the full 69 seconds, as with the original version. 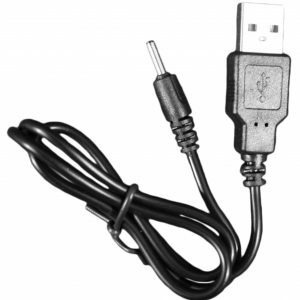 USB Cable for charging with any standard USB charger or USB port on a computer. User Guide printed on the inside of the retail box. This product is sold for the exclusive private use of the buyer on their own equipment . Use under adult supervision. For external use only. Side effect may include decreased anxiety, increased social skills, increased cognitive ability, increased sense of well being. The above statements have not been evaluated by the FDA. 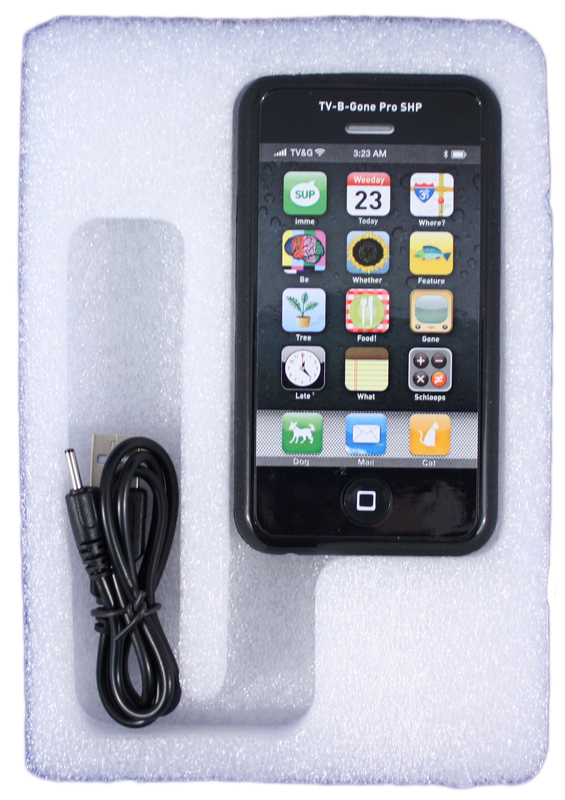 Effective personal choices are the sole responsibility of each individual user of this device. 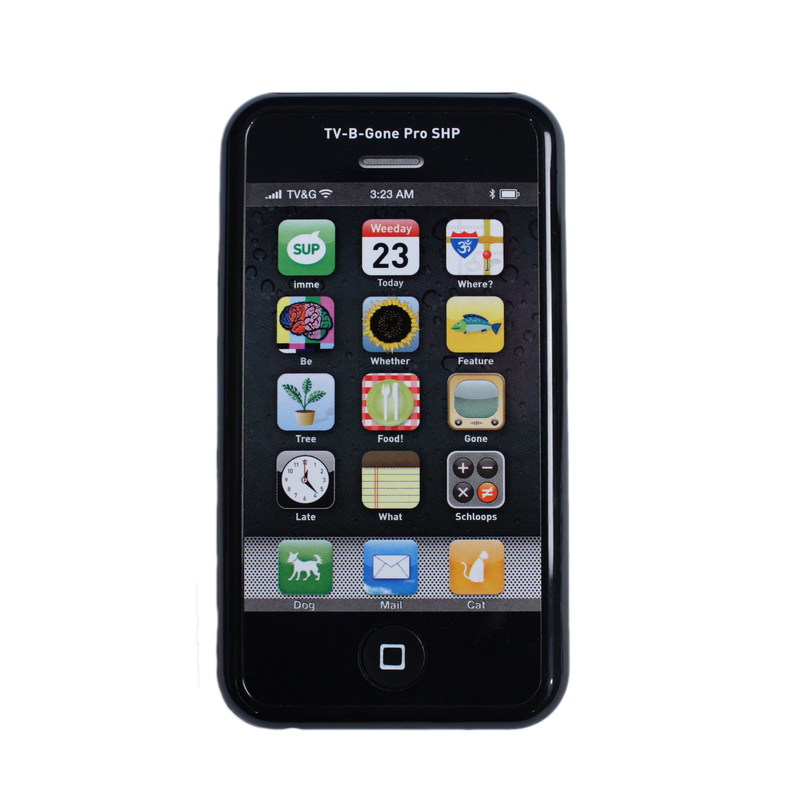 I had a Pro from a few years back….until I carelessly lost it at a conference. When it says “Super High Power” …. believe it! I have been on one side of a large restaurant with the TV on the other side….separated by a very narrow corridor type hallway and the Pro did its’ job. Very relieved that TV B Gone is back in production!!! Awesome product! Got this in the mail today and i could directly use it. Works like a charm, Really does what you expect!